The New Year brings resolutions loaded with good intentions and whether your resolutions include eating more vegetables, getting more exercise or developing your small business marketing plan, it all begins with a plan. Of course, developing that plan is just the start. It is only with dogged determination can one turn that plan into action. You see to succeed in anything requires consistent action over time. It also helps to believe that you can do it and that it will generate the type of results you’re looking for. 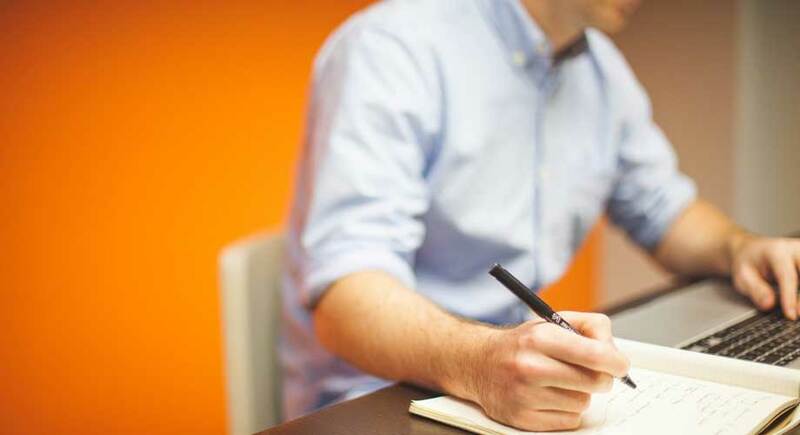 Let’s bring this discussion to your small business marketing plan. You know you should do it, but typically, marketing is the last thing you want to think about. It can seem to be a rabbit hole of possibilities made more complex with the growth of social media. So my job is to give you the tools and direction to help you see things through. 2018 marks my 32nd year in the garden center industry. That includes time as a garden center owner, manager, salesman and ultimately owner of Sunrise Marketing. Over the 32 years I’ve worked with hundreds and hundreds of garden centers, as well as dozens of consultants, vendors and nursery owners that serve them. So when putting together this blog post I thought it would be helpful to try to distill some fundamental ideas I have formed. Everything listed has been around for years and has found success at every level of garden center – from owner operator to multi-million dollar operations. There is a bit of ground to cover but I have tried to organize it around the basics. Rule number one is you can’t manage what you can’t measure. While there are many different ways to measure your business, let’s start with the basics. The first question I ask of any owner or manager is “What is your average sale?” Not just in the Spring (where it is generally a bit inflated), but rather on average 365 days of the year. The reason that’s important is it is the basis for growth. Growth can occur in many ways, but increasing the average sale is a great place to start. The next opportunity is increasing the number of times a customer comes in to shop at your store. That frequency. Frequency multiplied by the average sale will give you a customer value (over a year, or extrapolated over a lifetime). With these two figures I can help anyone. Now many of you might not have the frequency part of the equation so let’s just use 2.5 times as our benchmark. Remember, this is all customers, throughout the entire year. Undoubtably some customers will shop more, while most you might just see once a year. With that established let’s agree that like increasing the average sale will generate more sales, increasing the number of times a customer visits is as important, if not more so. So the function of all marketing needs to be to create a sale and get that customer to come back again and again. 6 Season Marketing Strategy – The idea is to break the year down in to promotional periods. While most of your customers will shop you in the Spring season, real growth is going to come by using tools like Bonus Bucks, Loyalty Programs and Gift Cards to encourage repeat business. So step one in your planner is sketching out your 6 Season calendar. Marketing Budget – Next, let’s take a look at the resources you’re going to allocate to your plan. It all starts with a budget. How much you’re going to spend and where you’re going to spend it. Let’s say you’ve got a garden center that does $1 million in sales. A 3% budget will give you a $30,000 ad budget. Now let’s allocate those dollars to retain your best customers (60%) – (sustained growth will be the result of retaining at least 85% of last year’s sales), develop new customers (30%) and building your brand (10%). Holidays – As you establish your marketing calendar circle these dates. These represent the most common holidays that can be matched with the garden center sales timeline. WIFS – What to promote? Back to basics – If it is flower, it will sell; once it is out of flower, mark it down and move it. Here is a quick synopsis of Sunrise programs and methods to push out that message. Promotional Ideas – Need some ideas? 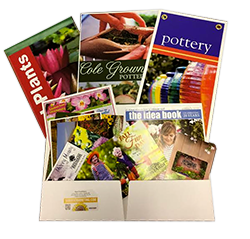 The following promotional campaigns have proven to be effective, year after year, with garden centers both large and small. 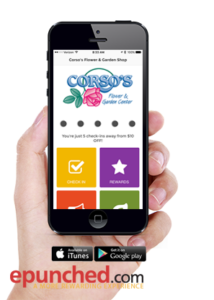 Bonus Bucks, Impatiens Sale, Hanging Baskets BOGO, Mother’s Day Gift Cards, Spring Open House, Arbor Day, Get Our App, Ask Us, Pick of the Week, Birthday Mailers (plus App), New Homeowners, Fall Festivals, Holiday Open House. The Process – Let’s finish up with the process. Growth is going to result from understanding and implementing the cycle. The tools are Direct Marketing (DM), Point of Purchase (POP) and Loyalty. While most of this information is Marketing 101, I hope it will provide some concepts that will form the basis of a process for developing your marketing plan. For more information on turning that resolution in to results please check out our blog post on keeping your New Year’s resolution.